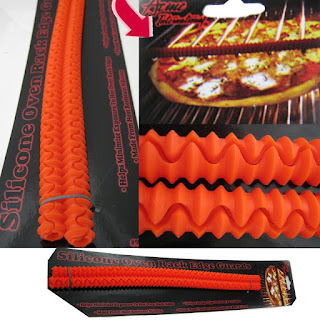 What do you think of this Silicone Oven Rack Guards? Real protection from hot oven racks. Slide these silicone guards over the front of your oven racks to prevent injuries to your hands and wrists. Unique design grips edge of rack securely to keep guards in place.